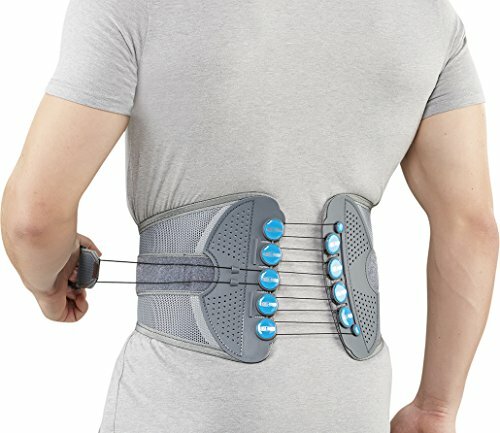 The Bell-Horn Spine Support Brace effectively addresses a variety of acute and chronic lower back and spinal conditions. It's made of a comfortable mesh material which is both durable and breathable, even during extended periods of use. The low friction pulley system provides smooth and uniform compression, allowing you to customize the tension for a more effective treatment. With use, it helps reduce pain from everyday activities like walking and sitting. The easy to use pull handle enables you to quickly adjust the support brace to the desired level of comfort. A Velcro closure allows for easy application and removal. The low profile design makes the Bell-Horn Spine Support Brace ideal to wear underneath clothing. Intended for both men and women.